I have many Favorite animals. One of them is the Snow Leopard... 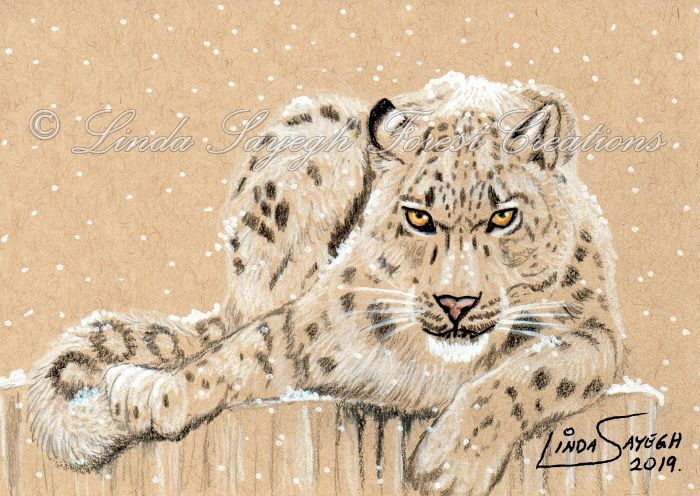 Colored pencils, Sharpie paint pen, white marker on Strathmore toned tan paper. 5 x 7 inches. Ellen Million says: This is wonderful!! ~ Reply? Linda Sayegh replied to this: Thanks so much Ellen! Linda Sayegh replied to this: Thanks so much Julie! Mayumi Ogihara says: Powerful! ~ Reply?